Roswell New Mexico is known for the famous alleged ‘crash’ that happened there in 1947. But if you’re not a UFO researcher, you probably wouldn’t know that alleged crashes of unidentified objects with alien bodies found inside of them have occurred dozens of times, not just at Roswell. 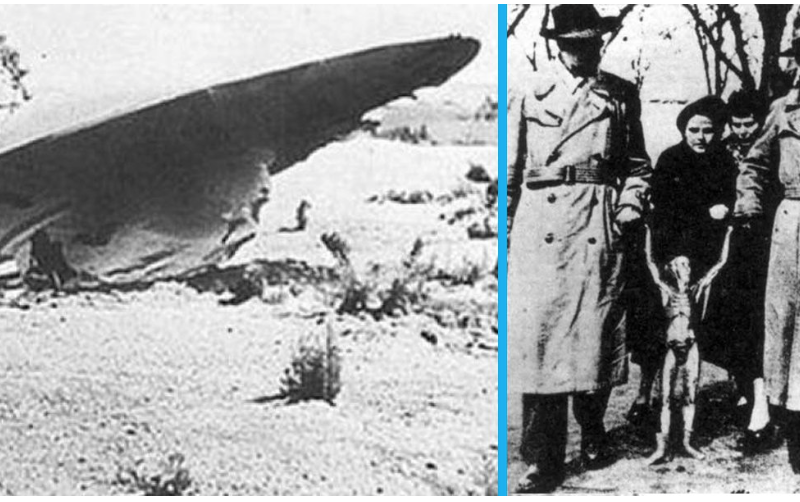 Why Roswell became the focus of attention for this type of phenomenon, who knows, but perhaps it was the big media hype surrounding the crashed craft at that site with bodies recovered. What he is saying here is that we have these technologies, the quote “harvest them from the Science Division” gives that away. As far as documentation, the amount of electrooptical data and files indicating various military encounters with UFOs is outstanding. (See some examples here). We also have evidence that governments are and were desperate to reverse engineer this technology, and given the above statements, they already have. Dr. David Clarke is an investigative journalist, reader and lecturer at Sheffield Hallam University in England. He was also the curator for The National Archives UFO project from 2008-2013, and regularly comments in national and international media on UFOs. He uncovered documents showing how the Royal Air Force expressed great interest in finding UFOs to help come up with new and innovative ways to overcome their enemies during the Cold War . You can read more about that here. Even though they have been partly censored they can’t conceal the fact the UK military were interested in capturing UFO technology or what they coyly refer to as ‘novel weapon technology’… And the files reveal they were desperate to capture this technology – wherever it came from – before the Russians or the Chinese got hold of it first… Although this was 1997, Russia was still regarded as an undefeated enemy with a weapons programme regarded as a threat to the West. This story began when a woman by the name of Charlotte Mann apparently received a deathbed confession from her grandmother regarding her husband, Reverend William Huffman, who was the local minister in the area. When the craft crashed, Huffman was apparently called by the local sheriff to come and assist in delivering some sort of last rights at a plane crash, at least that’s what he was under the impression he was going to do. When he arrived at the scene, he allegedly realized that it was not a plane, but rather a flying saucer. A classic silver craft, looking like a round disk that had started a fire, and there were multiple dead bodies on the scene, which appeared to be extraterrestrial. Stringfield was Director of Civilian Research, Interplanetary Flying Objects (CRIFO), and published a monthly newsletter, ORBIT. In 1957, he became the Public Relations Adviser for the civilian UFO group, National Investigations Committee On Aerial Phenomena (NICAP) under the direction of Major Donald Keyhoe (Marines), a friend of his since 1953. From 1967 to 1969, Stringfield served as an “Early Warning Coordinator” for the Condon Committee. During the 1970s, he wrote a number of books about alleged recoveries of alien spaceships and alien bodies. There is lots that the ‘black budget’ world knows, obviously, after years of research, reverse engineering, studying these bodies, etc. At the same time, there is lots that we, the human population, know as well. There are still many unknowns, and that includes this part of ‘the world of secrecy’ as well.